Quoting former RBI Governor Y V Reddy, Subramanian said the aim must be to shrink or narrow the scope of the unviable banks. 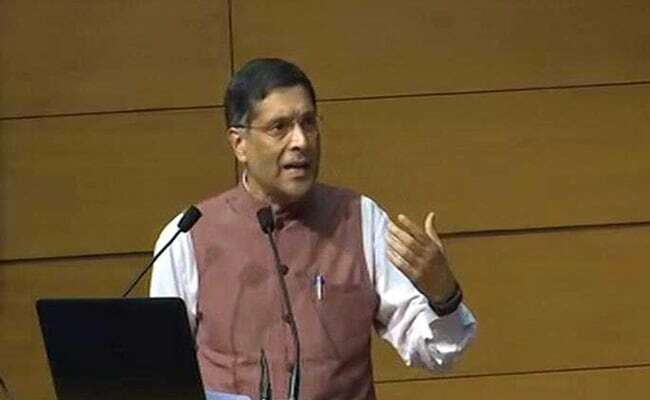 New Delhi: A day after government announced a massive Rs 2.11 lakh crore capital support initiative, Chief Economic Adviser Arvind Subramanian today made a case for consolidation in the banking space saying the country ideally should have 5-7 large lenders. In an ideal banking world of tomorrow, India needs to have both large public sector and private sector banks, competing domestically and being competitive internationally, he said in a lecture at SGTB Khalsa College here. Citing example of China, he said, there are four big banks which are now amongst biggest in the world. compete domestically and to be competitive intentionally," he said. Talking about the recapitalisation, he said it must be selective and incentive based, directing it to those banks where the bank for buck in terms of new credit creation will be maximum. Yesterday, Finance Minister Arun Jaitley unveiled an unprecedented Rs 2.11 lakh crore two-year road map to bolster NPA-hit public sector banks, which includes re-capitalisation bonds, budgetary support, and equity dilution. Such bonds were first introduced by the government in the 1990s to recapitalise PSU banks. Responding to a query on the Goods and Services Tax (GST), Subramanian said there is a strong preference for having low rates, few slabs and put as many products in and leave few products out. "Finance Minister also said that we need to move towards rationalising it and I am very encouraged that over the last month or so and going forward the GST Council will take up this matter and over time reduce the rate," he said. He also expressed hope that eventually both rates and slabs would come down. "Ideally we should have one rate like Singapore does but even if we get down to two plus luxury goods or demerit goods, I think that would not be a bad outcome at all...I think we will get there sooner rather than later," he said. To a question on Direct Tax Code, he said the government would be looking at it at some stage. On emphasis on digital payments, he said it would lead to formalisation of the economy.